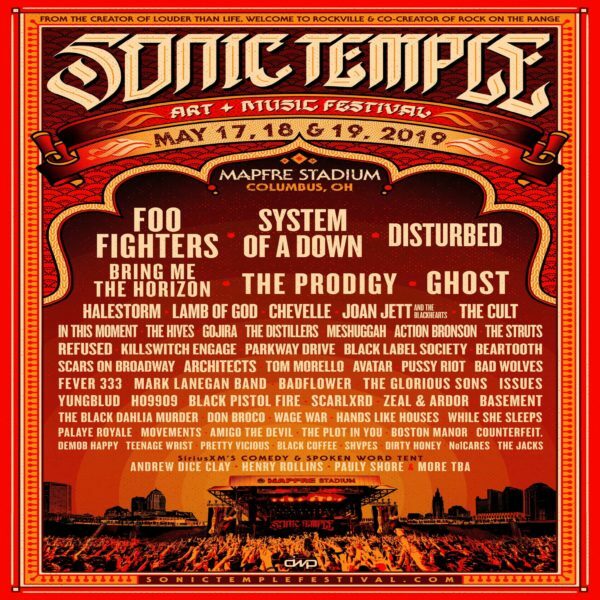 Sonic Temple Festival is set to take place on May 17-19 in Columbus, Ohio at the MAPFRE Stadium. Set to play include elite performers like Foo Fighters, Disturbed, System of a Down, Bring Me The Horizon, Ghost, The Prodigy, Halestorm, Lamb of God, Chevelle, Joan Jett and the Blackhearts, The Cult and more set to play on three stages. General admission, VIP and Premium VIP tickets go on sale on Nov. 30 at 12:00 pm Eastern Time. The event will also feature a SiriusXM Comedy & Spoken Word Tent (Andrew Dice Clay, Pauly Shore, Henry Rollins), as well as premium food and beverage options (Buckeye Donuts, Chicago’s Dog House, Coustins Maine Lobster, Ena’s Caribbean Kitchen, Hangry City) art installations and enhanced on-site experiences. System of a Down haven’t released an album since 2005’s Hypnotize/Mesmerize yet they still enjoy huge crowds no matter where they land on the touring schedule. 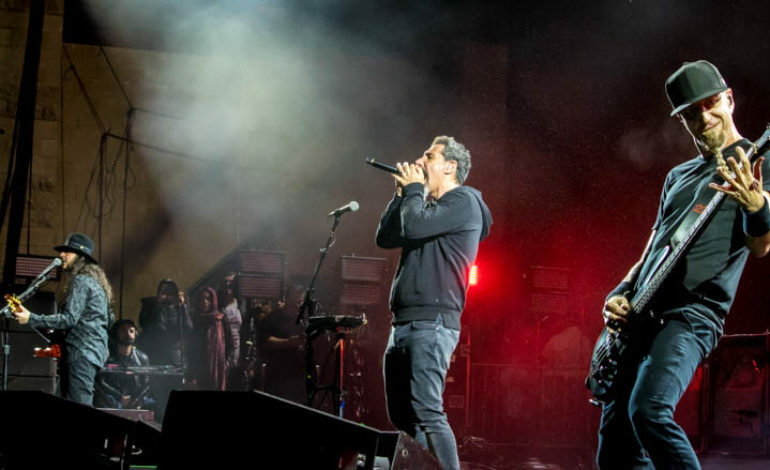 They recently performed at the Glen Helen Amphitheater with Incubus and At The Drive In plus others. The Foo Fighters will perform for a Tribute Concert for Chris Cornell on January 16th 2019 at The Forum in Los Angeles. The remaining members of Soundgarden and Audioslave will also be performing at the tribute concert, along with legendary rock band Metallica. The event will be hosted by Jimmy Kimmel and all proceeds from the event will be given to the Chris and Vicky Cornell Foundation which provides homeless children around the world shelter and resources.